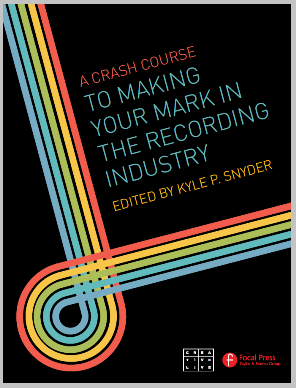 A Crash Course to Making Your Mark in the Recording Industry is a FreeBook brought to you by Routledge. It offers a collection of curated content from some our top titles and leading experts. This FreeBook is a collection of original material and excerpts from leading Focal Press titles and Creative Live videos. It's brought to you by Focal Press and Creative Live, and is edited by Kyle P. Snyder, a faculty member at Ohio University and one of the Audio Engineering Society's leading experts on audio education. A Crash Course to Making Your Mark in the Recording Industry seeks to provide an overview of a wide range of crucial topics in audio and recording. Whether you are just entering the field, or have been in it for decades, we think you might find it a useful guidebook. Routledge is excited to be able to offer free resources to help you discover and engage with topics across professional and academic communities. The best Audio and Music Technology books covering Audio Engineering, Recording, Mixing, Mastering, Editing, MIDI, Music Business, Dance, DJing and more.